I spent the entire evening preparing my “Rapid-Response Daddy Kit”. On a moment’s notice, I’m ready to help coach Mama through Labor at home, or speed to the hospital straight from work. Family, friends, and Birth Coach (Cousin M:) are all on high alert, ready to drive and/or babysit as needed. 1. Snacks! There’s no way we’re sucking on ice chips for hours until the cafe opens. 2. Fully charged video and digital still cameras. 3. iPod complete with relaxing, eclectic playlist. A perfect soundtrack for introducing my newest little buddy to the world. 4. Two changes of clothes in case I get slimed. 5. Toiletries to shower after inevitably getting slimed. 6. Car-clean-up kit in case the car gets slimed. 7. Notes and quick checklists from the Doula. Only when I feel prepared, can I relax. I’m ready. Let’s have a baby!!! What are some of your labor and delivery essentials? I’d love to hear them! Am I a Dickhead Dad? I must admit, I feel a bit guilty. 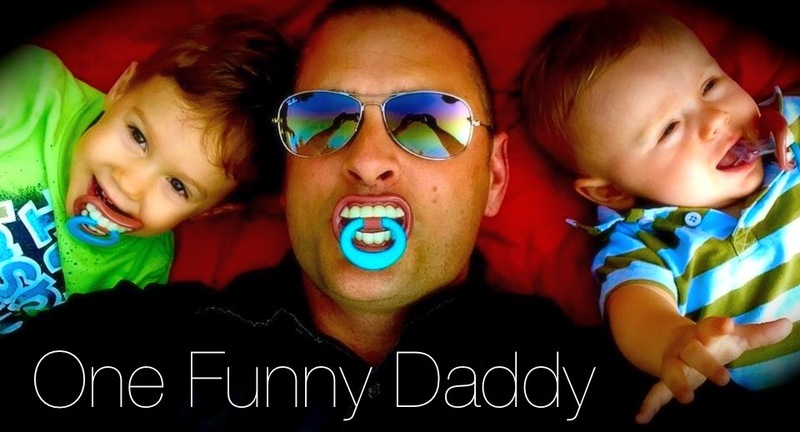 With my wife’s first pregnancy, I created so much hype that it turned into 18 months worth of daily Facebook and blog posts, eventually becoming the One Funny Daddy pages (and a book for Jake). Not to mention, 1,000’s of pictures, hours of video, etc. You would of thought we had just spawned Justin Bieber! While Baby Number 2 has been in the oven, my wife and I have calmly and sweetly prepared for the arrival. I am grateful to say it has been an uneventful, relatively painless pregnancy for the wifey. But…no ‘365 Days of Baby Number 2’. No hype. Just hope. Hope that we are lucky enough to bring another happy and healthy kiddo into the family. So, what do we tell this child when he or she asks to see their book, or all those pictures of Mama while she was preggers? Of course, Number 2 will be just as loved, yadda, yadda. Although, with WAY less fanfare. Is this how “Middle Child Syndrome” begins? Am I a Dickhead Dad!?!?! ?